The Ohio Iota Chapter of Sigma Phi Epsilon at the University of Toledo announced today that it will hold its Annual Alumni and Senior Appreciation Dinner on Tuesday evening, April 15, 2014 starting at 6 PM at the Blarney Back Room Banquet Facility, 601 Monroe Street, Toledo, Ohio. United Capital Funding Corp. is a Corporate Partner of Ohio Iota Sigma Phi Epsilon and has underwritten this announcement. The Ohio Iota Chapter of Sigma Phi Epsilon at the University of Toledo announced today that it will hold its Annual Alumni and Senior Appreciation Dinner on Tuesday evening, April 15, 2014 starting at 6 PM at the Blarney Back Room Banquet Facility, 601 Monroe Street, Toledo, Ohio. Ted Behnken, President of the Ohio Iota Alumni Corporation noted that, “This annual event recognizes our amazing Alumni and graduating Seniors for their support and hard work on behalf of Ohio Iota.” At this years’ Alumni and Senior Appreciation Dinner, several significant Awards will be granted to Alumni who have helped Ohio Iota Sigma Phi Epsilon become the #12 Undergraduate Greek Chapter in the United States [of all Greek undergraduate Chapter nationally], based on academic performance, community service and leadership. Cris Hastin will be honored with an Alumni Association Service Award for his significant and long term service to the Alumni Association of Ohio Iota, Sigma Phi Epsilon. Mike Robarge will be honored with a Career Achievement Award for his many years of involvement in education and community service in the greater Toledo area. The Ohio Iota Chapter of Sigma Phi Epsilon [formerly Chi Beta Chi] at the University of Toledo is the leading Greek organization at the University of Toledo. With an active chapter of 100 men, it is also the largest Greek organization at the University of Toledo. Ohio Iota is a recognized leader on the University of Toledo campus. The Chapter has been ranked the #1 academic Greek organization for every quarter since 2008. Ohio Iota recorded a 3.364 GPA cumulative for the 2013 Spring Semester, the highest overall GPA of all social Greek organizations at the University of Toledo. Ohio Iota was also recently recognized as the #12 Undergraduate Greek Chapter of any Greek organization on any Undergraduate Campus in the United States, when taking into consideration academic standards, leadership and community service. Ohio Iota also recently received a first place award in the annual Dean Parks Awards ceremony. Dean Parks Awards recognize Greek organizations at the University of Toledo in three areas: academics, athletics and community service. Ohio Iota won first place in academics, athletics and community service for the past calendar year. Men of the Ohio Iota Chapter are involved in a myriad of University of Toledo organizations, including Student Government, Blue Key Honorary Society, Mortar Board Honorary Society, and others. Sigma Phi Epsilon, established in 1901, is one of the nation’s largest fraternities, with over 15,000 undergraduates on 240 campuses across the United States. Its mission is building balanced men, which is achieved through a continuous member development program that has contributed to a fraternity-wide GPA of over 3.0, a focus on the principles of Sound Mind and Sound Body, and service learning efforts that allow members to develop leadership skills while giving back to the community. Sig Ep has been a recognized leader in National Fraternity and Greek organizations. Sigma Phi Epsilon was the first national fraternity to establish a housing trust for all chapters and a separate National Housing Corporation aimed at supporting housing excellence. Sigma Phi Epsilon was also the first fraternity to charter a chapter in all 50 states, and the first national fraternity Educational Foundation to build an endowment greater than $11 million. It was also the first national fraternity to receive a grant from the federal Department of Education to enhance member development programs; provide financial assistance to brothers for graduate school through the Resident Scholar program and the first national fraternity to partner with the White House’s Office of National Drug Control Policy in order to create substance abuse education programs for members. United Capital Funding Corporation has been a long time strategic and financial supporter of Ohio Iota Sigma Phi Epsilon. 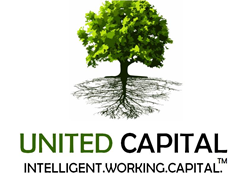 United Capital provides Intelligent Working Capital via factoring, credit insurance coverage and efficient Accounts Receivable management solutions to clients nationwide. These professional services allow clients to strengthen their cash flow, streamline internal operations and assist them in competing successfully in the current challenging economic environment. United recently exceeded $2 Billion in funded and managed relationships since its formation in 1997. Starting with a single Florida based client, United Capital Funding now serves clients in 29 states, and is based in Tampa Bay, Florida. United also has a regional offices in Nashville, Tennessee and Charlotte, North Carolina.